HOW NEW WORLD ORDER MOB TOOK OVER AMERICA IN JUST TWO DECADES – TRUTH IN MEDIA: TRUTH TRUMPS POWER EVERY TIME! The New World Order’s Ukraine coup d’etat took only a couple of days, although they had been laying the ground for it for a couple of decades. The bottom line is that the new government the NWO installed does not look anything like the Ukraine population. There are no Eastern Orthodox among the new Ukrainian top leaders. And that in a country where the Eastern Orthodox account for 84% of the population! (see APPENDIX B below – “Creating Religious and Regional Disparities – New World Order’s Way of Starting Wars”). So why should we care about a distant country like Ukraine? Because a similar coup d’etat has already taken place right here in the United States of America. Except that the takeover took place in the boardrooms and courtrooms of this country, rather than in the streets where everybody could see it. Nevertheless, it left three quarters of Americans disenfranchised – without representation on the most powerful branch of government – the US Supreme Court. At the time of Breyer’s appointment in 1994, there were two Roman Catholic justices, Antonin Scalia and Anthony Kennedy, and two Jewish justices, Stephen Breyer and Ruth Bader Ginsburg. Clarence Thomas, who had been raised as a Roman Catholic but had attended an Episcopal church after his marriage, returned to Catholicism later in the 1990s. 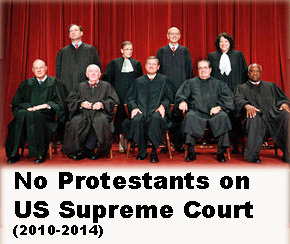 At this point, the four remaining Protestant justices—Rehnquist, Stevens, O’Connor, and Souter—remained a plurality on the Court, but for the first time in the history of the Court, Protestants were no longer an absolute majority. The first Catholic plurality on the Court occurred in 2005, when Chief Justice Rehnquist was succeeded in office by Chief Justice John Roberts, who became the fourth sitting Catholic Justice. On January 31, 2006, Samuel Alito became the fifth sitting Catholic Justice, and on August 6, 2009, Sonia Sotomayor became the sixth. By contrast, there has been only one Catholic U.S. President, John F. Kennedy (unrelated to Justice Kennedy), and one Catholic U.S. Vice President, Joe Biden, and there has never been a Jewish U.S. President or Vice President. At the beginning of 2010, Justice John Paul Stevens was the sole remaining Protestant on the Court. In April 2010, Justice Stevens announced his retirement, effective as of the Court’s 2010 summer recess. Upon Justice Stevens’ retirement, which formally began on June 28, 2010, the Court lacked a Protestant member, marking the first time in its history that it was exclusively composed of Jewish and Catholic justices. 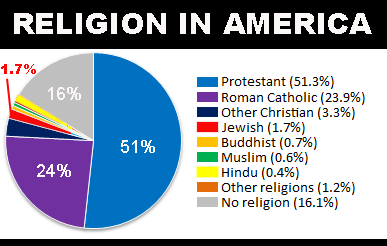 The shift to a completely non-Protestant court occurred because President Ronald Reagan appointed mostly Catholics to the Court, because President George H.W. Bush appointed a Justice who converted back to Catholicism, and because Bill Clinton, George W. Bush, and Barack Obama appointed only non-Protestant justices. This development has led Law school professor Jeffrey Rosen to note that, “it’s a fascinating truth that we’ve allowed religion to drop out of consideration on the Supreme Court, and right now, we have a Supreme Court that religiously at least, by no means looks like America“. “Our country’s traditional character is being systematically destroyed by nihilistic “liberals,” the New World Order’s centurions whose only God is the Almighty Dollar. No wonder. Because the New World Order mob have been working for decades on Dumbing Down of America, too (Mar 2011 and DANCING ‘ROUND THE GOLDEN CALF, Aug 1997). Which is what allowed them to carry out this virtual coup d’etat without anyone noticing it. Well, maybe not “anyone.” This article is about it, for example, as were my columns two decades ago. But the real truth about what’s going on in our country is eluding the fast majority of the American population. 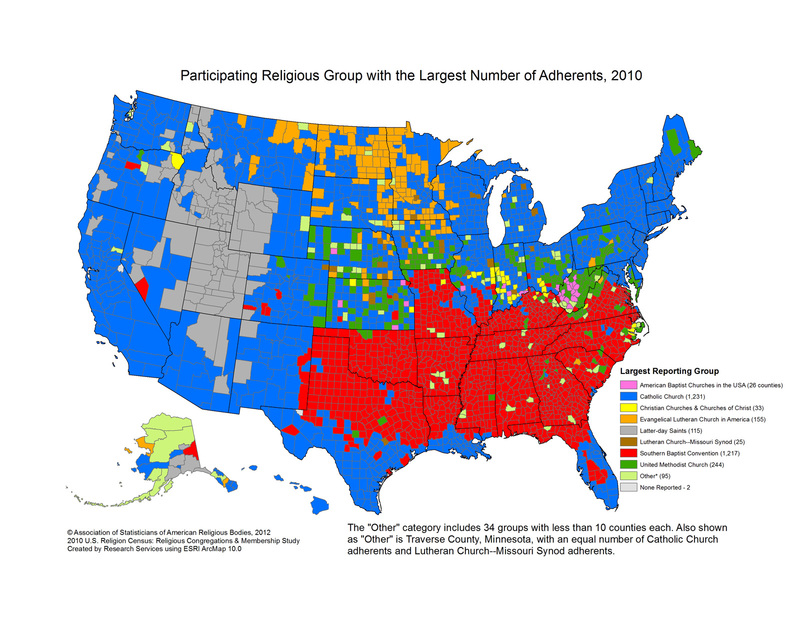 Now compare that 1995 prediction (left) with the actual 2010 map of US religious denominations. 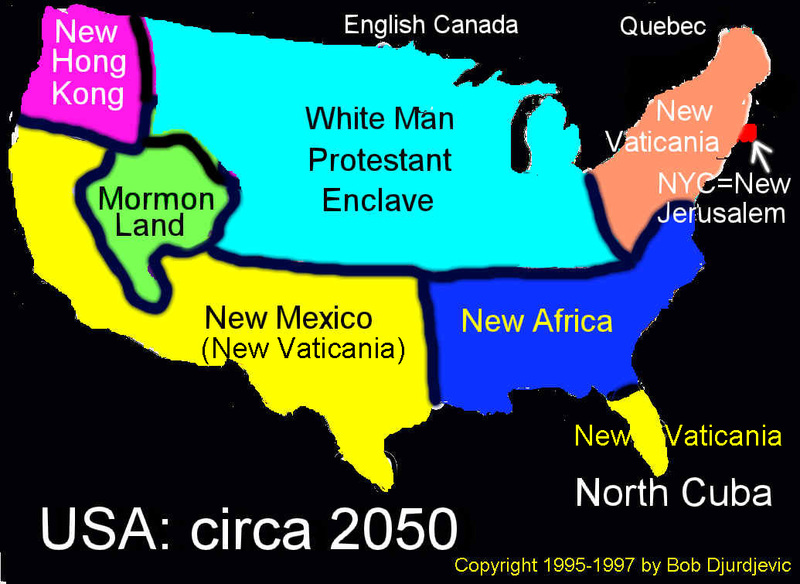 In just 15 years, the map is already starting to look like my forecast for 2050. In other words, the NWO conquest of the US is happening more rapidly than I had anticipated back in 1995. 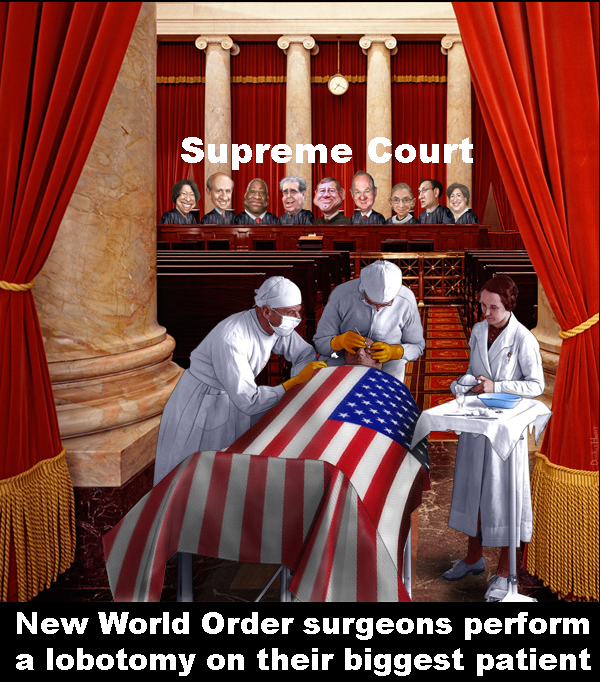 The New World Order’s takeover of the US Supreme Court was the first and the most important prerequisite. Now the NWO powers that be in the White House and Congress can keep on violating our Constitution with impunity (such as the illegal NSA surveillance, or waging foreign wars that are of no benefit to America). 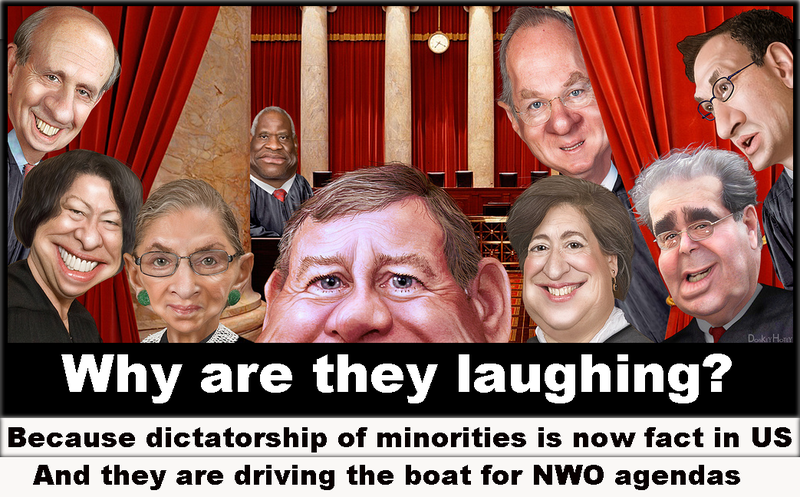 Now that they have secured the dictatorship of the minorities through the Supreme Court, they can keep on abusing our rights and shoving the the New World Order agenda down the majority of Americans’ throats. And now, it will be only fitting to close with this video in which a former Obama fan burns his T-shirt in symbolic protest against his betrayal. It is heartening to see that there some Americans who both care and understand which end is up. And doubly so to find that quality in a young person. So America is no longer a free country. Just like back in the 1770s. We are now a colony of the so-called New World Order. Just like back in the 1770s when America was a British colony. Our rights and freedoms have been usurped by an amorphous mob bankers, corporate chieftains and their government lackeys. 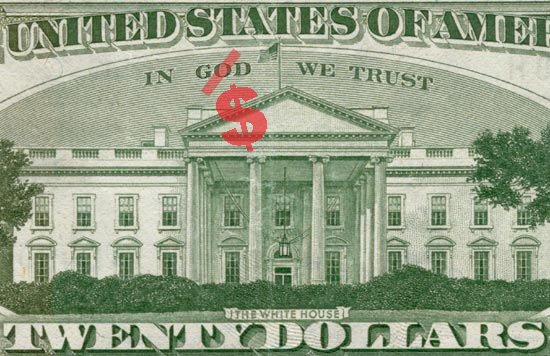 Their only deity is the Almighty Dollar (see “The Nothing Philosophy,” my Washington Times, Dec 1996 column). But money and power is not all they have usurped. They have also co-opted our revolutionary symbols of freedom. So that the dumbed-down and unsuspecting masses of the oppressed would not notice a change of their masters. Back in the late 1780s, the New World Order stood for a “government of the people, for the people, by the people.” It was a symbol of liberation from the oppressive British colonial rule. And “In God We Trust” really meant that back at the time of the American Revolution. Neither is true anymore. We are now all slaves to the Almighty Dollar. Which the current New World Order mob control and wield against us just like the British red coats used the muskets and bayonets. So what’s to be done? Time for another American Revolution? Those who believe that one fights fire with fire might think so. I don’t. When you are a David facing a Goliath, using brain rather than brawn might prove more profitable. The NWO mob have used a “3D Method” to gain power and enslave American people. We must parry each “D” using different tactics. We must not allow the NWO mob to use our faith, race, gender, beliefs to divide us and pit us against each other. We are all God’s creations. And we are all Divine. All of us carry the spark of our Creator. Let us not squander it on fighting each other. Let us use it to help each other. Let us EMBRACE OUR DIFFERENCES. “We must all hang together, or assuredly we shall all hang separately,” as Benjamin Franklin put it at the signing of the Declaration of Independence. Shakespeare’s wit is a perfect fit for NWO’s iron mitt (oops… poetry just sort of crept into this piece). 🙂 But it illustrates the point. The one thing oppressive masters do not possess is a sense of humor. Especially not the self-deprecating kind. As we expose the NWO mob’s duplicitous designs, we should ridicule them. It is impossible to dominate and enslave people who laugh at their would-be dictators and henchmen. Take a look at the current “interim” leader whom the NWO has installed in Ukraine following the Feb 21 coup d’etat that deposed the elected president. 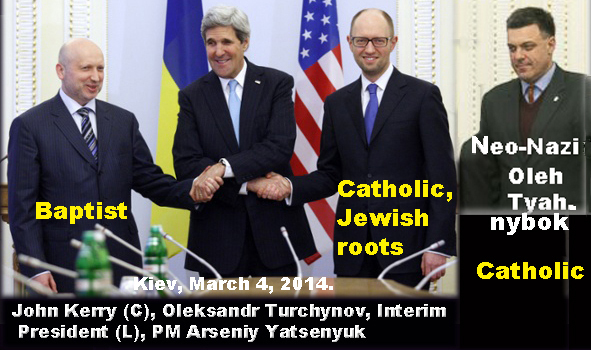 The new prime minister Yatsenyuk is supposedly a Catholic with Jewish roots. Whatever his religious adherence, he evidently prays at the New World Order altar. 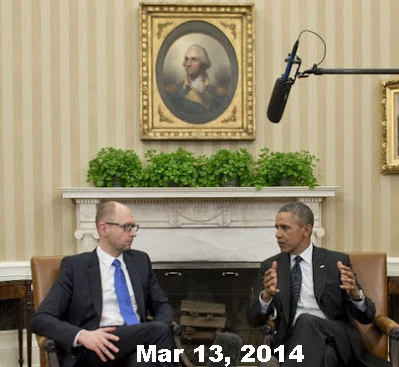 Yatsenyuk’s true allegiance is clearly to Perfidious Washington. He has been obviously groomed for a long time to take over the Ukraine government and to become New World Order’s latest altar boy. Here he is, for example, in 2007 with the then US Secretary of State Condoleezza Rice (right). He was a mere 32-year old back then! 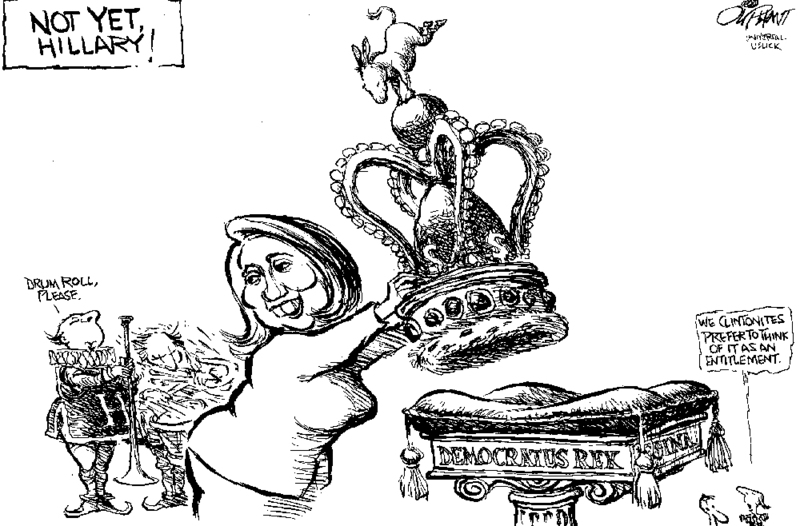 She was the top diplomat for the world’s most powerful country. And look who was in Washington just today (March 13), meeting with the US president (left). Yes, that same now 39-year old! He’s moving up on the New World Order ladder. In short, there are no Eastern Orthodox among the new Ukrainian top leaders. And that in a country where the Eastern Orthodox account for 84% of the population! Remember “taxation without representation?” We know what that kind of a situation led to in 1776, don’t we? See? That’s how the New World Order sows division and distrust. Which then serve as fuel for religions wars. 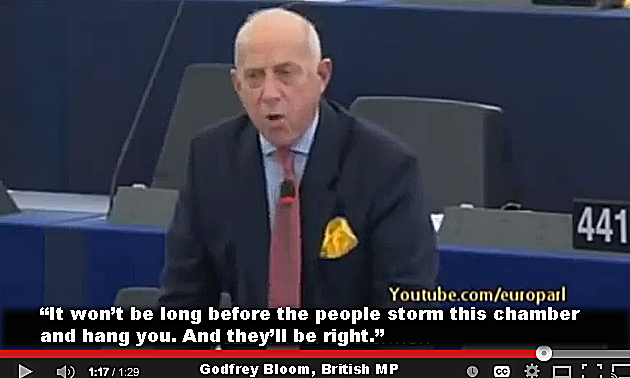 They pick a vassal, put him/her in power, and stick a finger into the majority’s eyes. And then they blame the disenfranchised citizens for starting a war. Just like what they did in Yugoslavia, for example. Pingback: “YOU GET WHAT YOU PAY FOR:” US SUPREME COURT MAKES IT OFFICIAL (ACT IV) – TRUTH IN MEDIA: TRUTH TRUMPS POWER EVERY TIME! Previous PostPrevious THE IDES OF MARCH ARE UPON US… WHOSE FUNERAL IS IT? PEACE DOVES’?